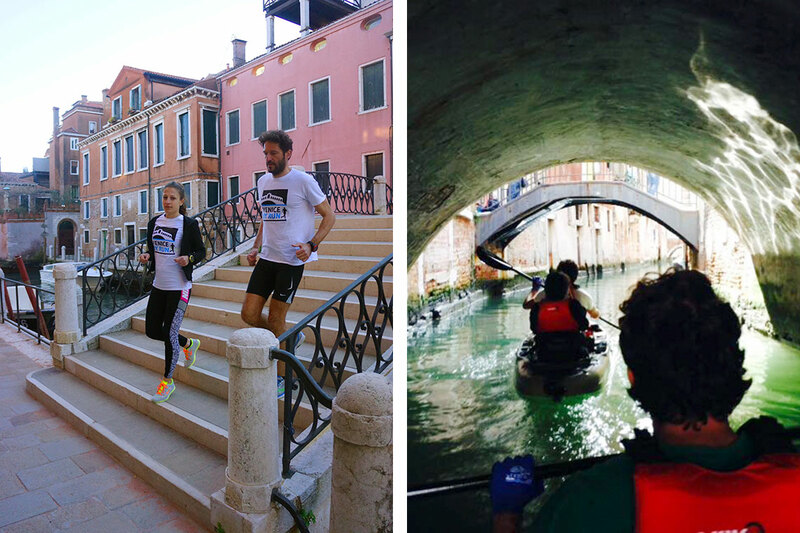 Venice tours from land and water: running and paddling in Venice, the ultimate active tourism experience! Venice is a unique city and to appreciate more its distinctiveness we have designed this brand new sightseeing tour: the Venetian biathlon. What is it? It is a guided running tour combined with a guided kayaking tour! it will let you live Venice from the land seeing its famous places and from the water discovering hidden corners and spots that you will miss otherwise. All you need is your running gear and the will to have fun: for all the rest is on us. 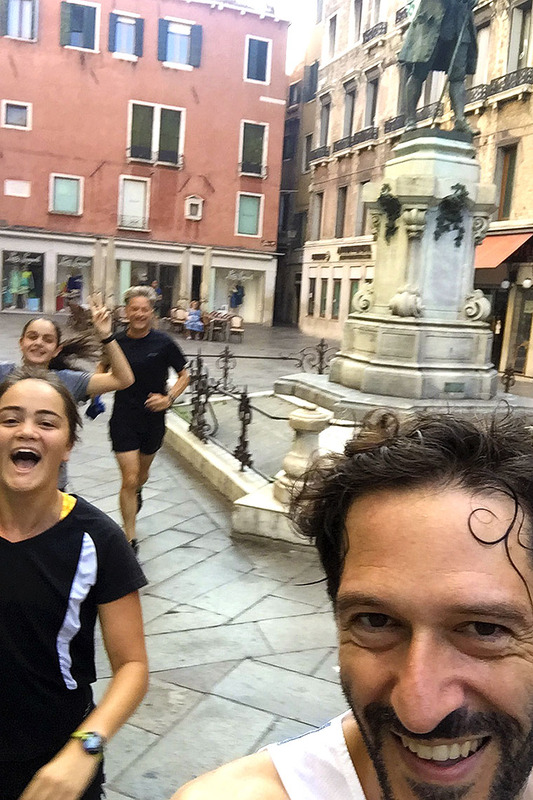 We will start with a nice morning run, then we will stop to rest a bit and having a light italian breakfast (coffee, sweets and juices), we will continue with a nice paddling experience through the inner canals of Venice. 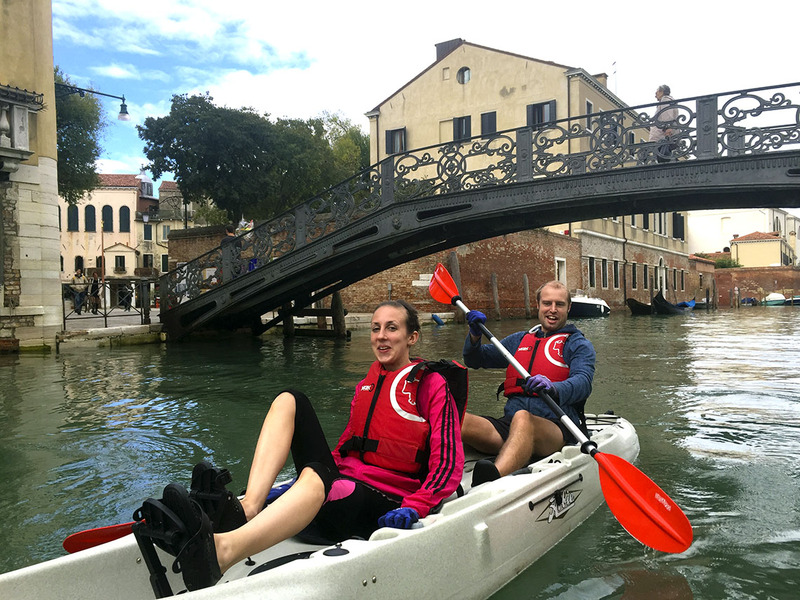 If you would like to go for a more comprehensive tour feel free to contact us: we will design and quote a custom Venetian Biathlon tour on your desires. DEPARTURE/RETURN LOCATION *Hotel/Apartment pick-up. 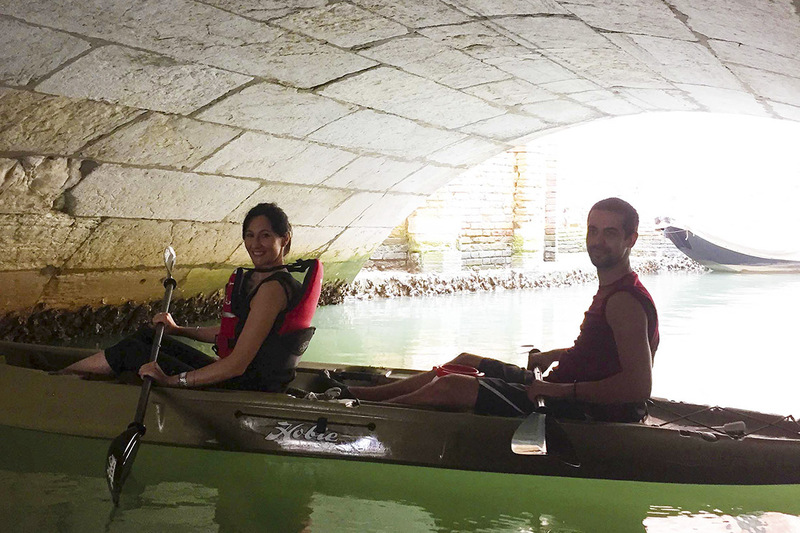 If your accommodation is located too far from the kayak spot the meeting point will be in Campo San Bortolomio.